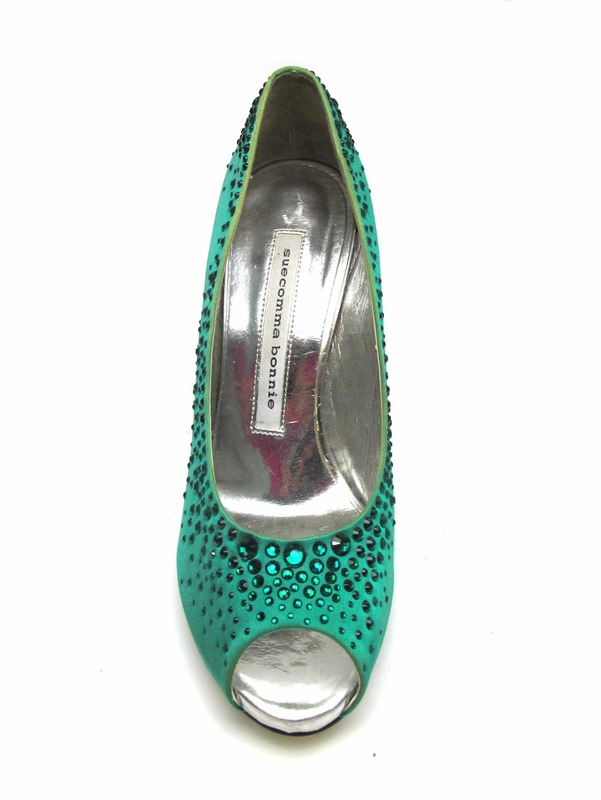 The emerald green silk on the base of these elegant shoes is a shiny, classy-looking colour. Walk like you belong to royalty with the deep green hues matching perfectly with a glittering silver heel and jade swarovski srystals carefully placed in a scattered fashion around the opening of these heels. The perfect colour comnbination of silver and deep green silk is one of our favourites. These are truly beautiful shoes. This shoe has so much more to offer than just to walk! Get them quick and show them off to all your friends – you one hundred percent deserve a fresh new pair of shoes!